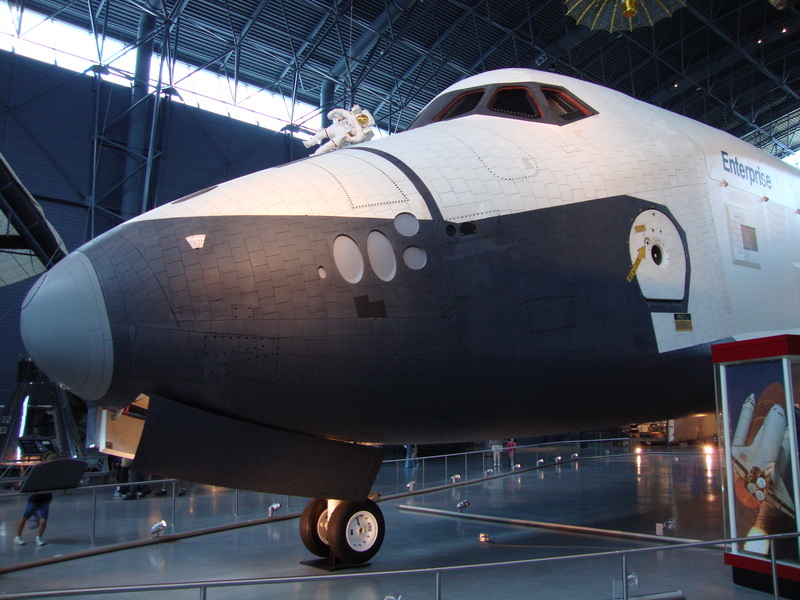 April 27, 2012 – Washington D.C. – One final flight today for the Shuttle ENTERPRISE (pictured at Smithsonian). ENTERPRISE was used for the Approach and Landing Tests (ALT), but never flew into space. It was also used for Pad fit-checks (including at SLC-6 at Vandenberg AFB, which was planned and built-out as the Western Launch Pad for the Space Shuttle – but never used). This entry was posted in Leadership lessons from the Space Race, NASA Space Shuttle, Space Race Memorabilia and tagged Kennedy Space Center, NASA, space race, Space Shuttle. Bookmark the permalink.